high-quality digital post-print corrugated packaging. Scheduled for installation this summer, the press will be the first PageWide C500 Press in the USA. The new single-pass, direct-to-board PageWide C500 takes digital productivity to the next level using HP’s Thermal Inkjet technology. Combined with HPs’ accurate media motion and robust hold of industry grade boards for smooth production flow using HPs’ corrugated grip, the press delivers high quality digital prints. 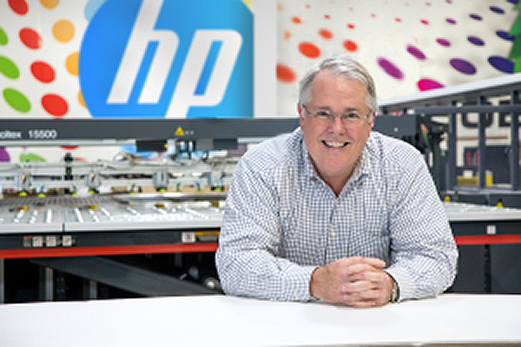 Dusobox’s new PageWide C500 Press is representative of the company’s digital growth and its continued investment in HP digital press solutions. This latest investment follows just two years after the purchase of HP Scitex 15500 Corrugated Press for short-run retail packaging and displays. Dusobox will utilize the PageWide C500 press to print a wide application ranges, including nutritional products, health and beauty, and a vast range of fast-moving consumer goods (FMCG) sold through large national and regional retailers. Among these new digitally addressable applications is food and beverage packaging, both primary and secondary. Food safety in the PageWide C500 is supported by HP CV150 water-based CMYK Inks and water-based HP Bonding Agents. These fluids are suitable for both coated and uncoated media and contain no UV-reactive chemistries and require no additional barriers.